How did he embody this philosophy? 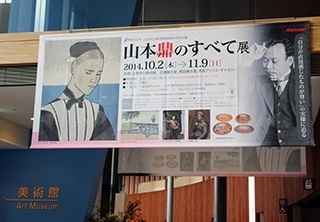 Mimaki printed outdoor/indoor display boards and fabric banners, and provided printed signages for the exhibition held at the Ueda city art museum. 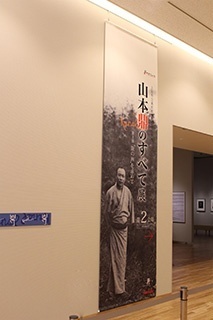 Mimaki had several requests from the museum before he created the displays. 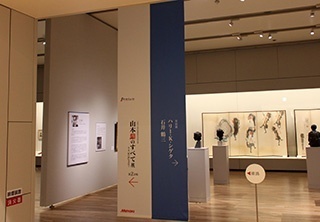 The museum asked whether Mimaki was able to provide fabric signage as displays on a rigid board would present a frigid impression. 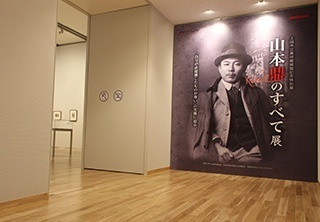 Creating sign boards or banners that can utilize the entire space of the exhibition rooms, including the high ceilings of the museum. 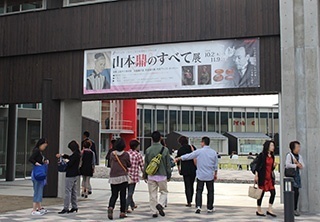 To meet these demands, Mimaki suggested the use of appropriate fabric banner materials. High weatherability vinyl banner material is suitable for outdoor use, and soft polyester and artificial suede leather are ideal for indoor use. 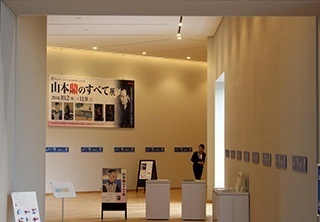 I was wondering how we could provide visitors noble and gentle impressions of the new museum and the exhibition. I thought of using fabric banners instead of panels. 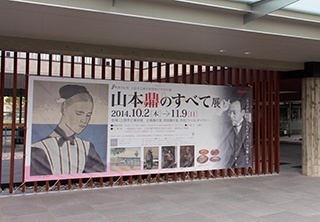 After the completion of the museum construction, I reaffirmed that fabric banner was the best choice. The synergy between high ceilings and the banners presented astonishing results. 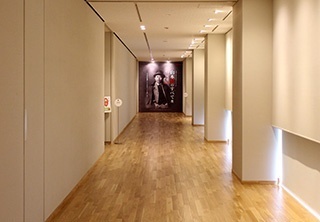 In addition, there is a large panel covering the entire wall at the end of the hall way, which captures the visitors’ hearts. 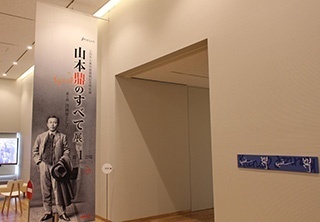 Thanks to Mimaki Engineering support, we have numerous choices for creating decorations or displays that match the concept of our museum and exhibits.